This Season’s Top Ten Dunks! *(VIDEO): It’s early in the year but to date, these are the top ten dunks of the 2012/2013 season. Watch the one by Lebron James and the last one by Russell Westbrook in particular; two of our favorites. Of course, Blake Griffin, also featured in this video, leads the league in dunks so far this year; but that should come as no surprise to anyone…Enjoy! A Technical? For A High-Five? C’MON MAN!! 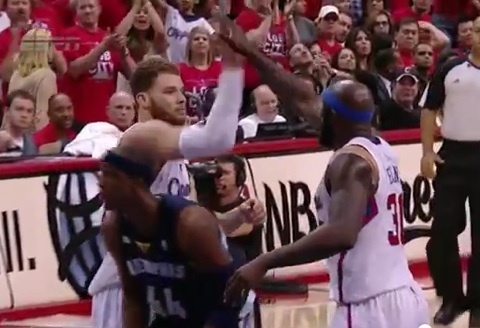 After a near successful fast break and sharp passing between Clippers Blake Griffin and Reggie Evans, the two ‘High-Fived” each other. Seconds later, referee Marc Davis surprisingly called a technical foul on Evans. 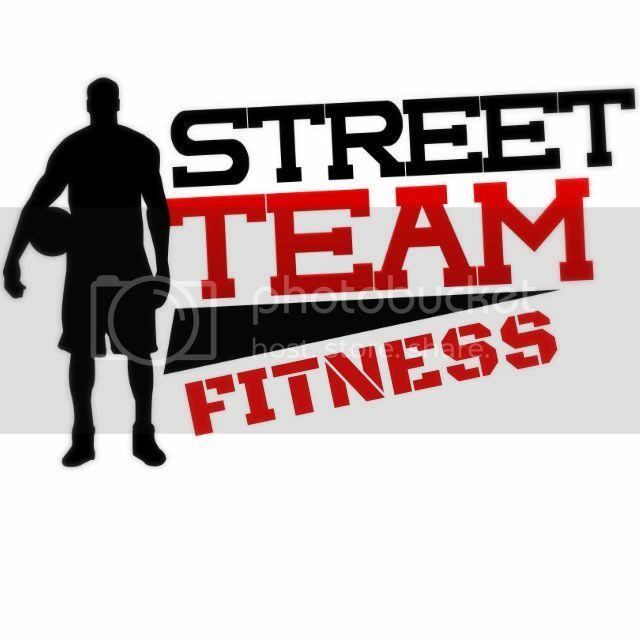 After watching the video a hundred times, I didn’t notice any disrespect given towards the refs by either player. If I HAD to find some reason for this call, (and this is so obscure and ridiculously subtle), Evans ‘could have’ been called for taunting. However even that would be a stretch. Hey ref…C’MON MAN!! Now that a few weeks have gone by since NFL Commisioner Roger Goodell has levied punishments against the New Orleans Saints, including the coaches and G.M. 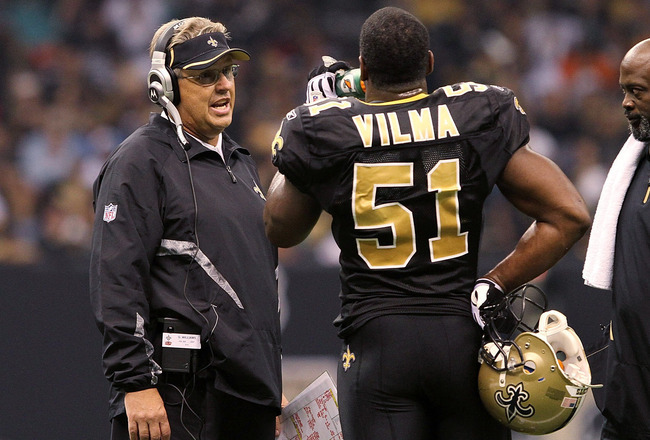 who new about and or took part in the ‘Cash for Injury’ scheme, the only judgements that need to still be handed down by the NFL are the fines/suspensions of the players directly involved, such as Jonathan Vilma. It doesn’t matter why Goodell came down on the Saints the way he did. We applaud him for it. This kind of ‘Pay for Play’ practice, whether it has been going on for one year or 40, has a negative affect on the intergrity of the game and it’s illegal! If left to fester unscathed, why couldn’t this practice transcend itself into other sports? A flagrant 2 hard foul -like the one Jason Smith levied on Blake Griffin a week ago yesterday- could have taken Griffin out for the season or worse. 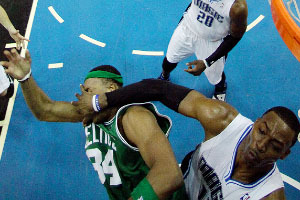 Or the flagrant foul by Dwight Howard on Paul Pierce in the Eastern Conf. Finals in 2010. A base runner taking out a second baseman or a catcher in baseball could have ‘ulterior motives’ that can cause season ending injuries. A pitcher could have a bounty on a batter and get extra $$ for plunking him hard enough so that he is forced to leave the game. Maybe he gets more money if the player ends up on the DL… Same goes for Hockey, Soccer, and a whole host of sports. N.O. 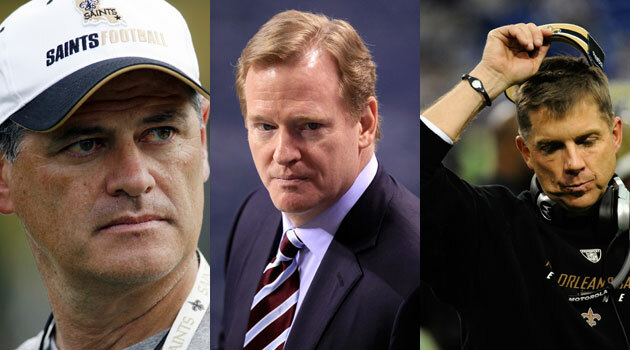 Saints G.M Mickey Loomis, NFL Commissioner Roger Goodell, and Saints head coach Sean Payton.